Homa Bay Governor Cyprian Awiti is back to office to finish the work he started. His win in the Supreme Court petition that threatened his seat means he can now sit and relax. Even though he won the petition, all eyes are now on him to transform the county within the remainder of his term. His chief rival, Oyugi Magwanga, will be keen to poke holes into his leadership and remind residents of the lakeside County why he was the better choice. He had not stepped into the county for up to three months due to illness and the recovery period that came after. After the High Court and the Court of Appeal rejected his election, he had to fight hard to take the case to the Supreme Court. A legal technicality in the earlier judgement saved him and he thus went back into Gubernatorial safety. Awiti is popularly known by his supporters as Akuba and sources say he hosted a celebration party to thank all those in his inner circle for giving him a second chance. 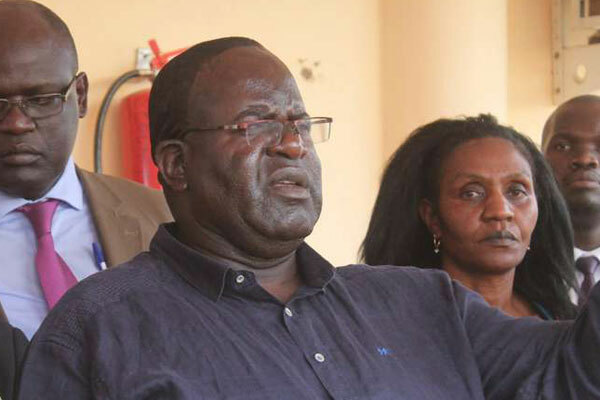 Homa Bay County has faced claims of deep corruption and nepotism within the county ranks. Critics say that the county has a lot of potential but the leadership of His Highness Akuba has not been up to par. Governor Awiti promised to work together with other elected leaders to ensure that the county develops and rivals other neighbouring counties.